There are numerous approaches to business process modeling (BPM) using UML as the base modeling language. In particular, Activity diagrams, Object diagrams and custom Profiles provide a wealth of modeling possibilities for BPM analysts to use. Enterprise Architect complements the basic UML 2.4 language palette with custom analysis, requirements management and process management elements (such as change, feature and issue elements). 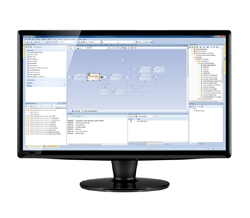 One popular notation among business analysts is the Business Process Modeling Notation (BPMN). This notation specifically targets the business modeling community and is mapped to UML through a BPMN Profile. Enterprise Architect provides built-in support of the latest BPMN 2.0 profile. 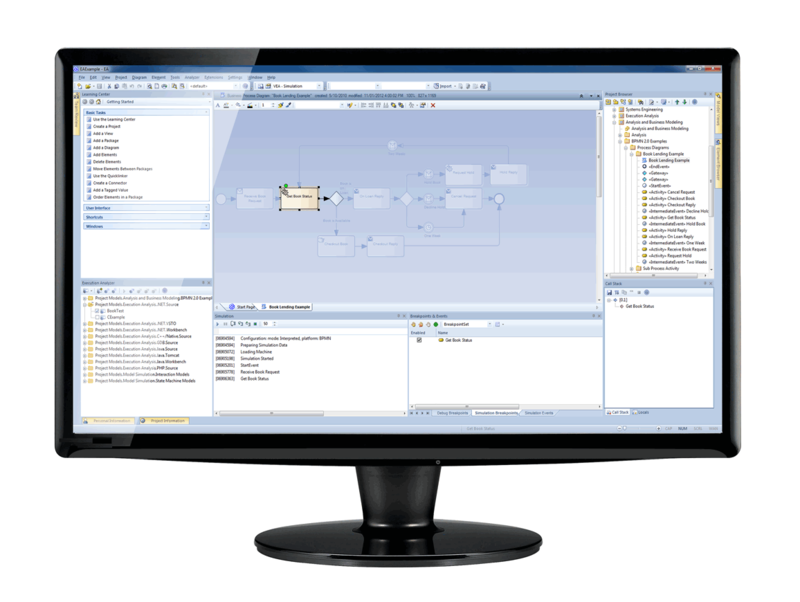 BPMN 2.0 models are simulated using Enterprise Architect's built-in simulation engine. This allows you to dynamically examine process flows, validate the model and collect timing and resource information on proposed or legacy processes with a view to business process improvement. Enterprise Architect generates Business Process Execution Language (BPEL) scripts from BPMN models. Generated BPEL scripts can then be executed using a third-party execution engine. Specific model validation rules help to ensure that models generate valid BPEL code.